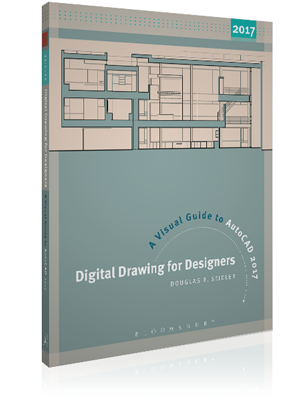 The AIA CAD Layer Guidelines defines layer naming strategies used throughout Digital Drawing for Designers. Discipline designators are the first letter used in each layer name. Major groups are four-character abbreviations that identify major building systems. Minor groups are four-character abbreviations used to further define the major group. The status field is used to designate the phase of construction. Refer to the following pages for additional information about using color and line weight in AutoCAD. ​Refer to the following pages for additional information about installing this book's standard plot styles.